Giveaway ends September 12, 2016. So, I know it's been a while since I've had a post that wasn't a review, so I figured I'd give an update- mostly, because I am super excited!!! But I'll get to that later. 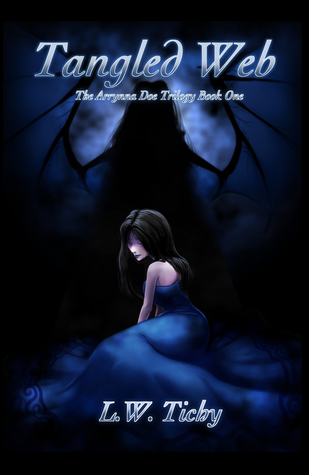 First off, the second book in the Arrynna Doe Trilogy (Checkmate) is coming along nicely, I'm working on the third draft now. I'm waiting to get some feedback on a couple of beta reads and once that's done, and I do another read through, it'll be ready to go to an editor (Yay progress!). I've also started preliminary work on the final installment; some rough outlining, some scenes, the important points I need to hit, etc. If all goes well, I'll start that soon. For those who are curious, the working title is *drum-roll please ;)*... Masked. In the meantime, I'm finishing up on a novella I plan to release this coming November. (And, again, if all goes well, I might just release two). I'll put a blurb for the book up soon so keep an eye on my 'Other Projects' tab. Now, for the thing I am super excited about: my covers. So, I was talking with the artist who designs my covers Aaron Tichy (no, the last name isn't a coincidence) (and also, check him out here: http://www.atillustration.com). Anyway, we were talking about the look for the second book in Arrynna's story, and we decided to go a whole new direction. I'll be releasing a new edition of the first book with a whole different cover shortly before the second book is released. I'll also being doing a giveaway for the new cover so stay tuned for the details on that. I loved my first cover, but, for the series a a whole, the direction we've decided on is definitely better and I am ridiculously excited for it and may have done a couple happy dances when no one was looking :). Keep an eye out for a sneak peak of the new cover (both Tangled Web and Checkmate), and a book trailer for Checkmate. I love this series! Just when you think the Davenport girls are going to catch a break from the ups and downs life has thrown at them, author Marie Silk introduces a new dilemma. What is really impressive is that none of it seems superfluous, every problem is well plotted and makes sense and is brought to a great but always unexpected conclusion. I think Davenport House: A Mother’s love may just be my favorite so far, which considering how much I love the other ones, is really saying something. I read this book in less than a day because I just could not put it down. The dilemma faced in this book (no spoilers, I promise) is an emotional rollercoaster (seriously, I was ready to cry at several points) from start to finish so you feel just what the characters are going through. The results of the problem and what it does to/ brings out in the characters is part of what makes this book so great. My only hesitation in giving this novel five stars is the character of Clara. The character’s maturity and growth achieved in the previous book seemed to backtrack in this book. By the end, she has regained the maturity the last book left off with but this redevelopment of the character comes off as a little abrupt as opposed to the natural progression achieved in the previous book. However, this pales when compared with the enjoyable, intriguing, unpredictable story Marie Silk has written, filled with amazing, lovable (or sometimes hateable), believable characters. This series will not disappoint! A Great Installment in a Captivating Series! Davenport House: A New Chapter was a great read. The second installment in Marie Silk’s Davenport House Series truly pulls you in as she picks up with her characters trying to settle into their new roles and responsibilities as they attempt to find their place in their ever changing lives and a world that is quickly growing beyond the simplicity they are used to. Once again, the author has characters you can’t help but be drawn to, maintaining their voices from the first book while making them grow. The character of Clara did begin to irritate me after a bit as she tries a too hard to fit into her new life and struggles with jealousy, however considering all that she is going through it does make sense for the character. By the end of the novel, she has become a character of growth and maturity that I enjoyed reading as much as all the others. While the dialogue could at times be predictable and the story a little too descriptive for my own tastes, the author created a really strong plot that kept me guessing. I particularly enjoyed seeing the various love stories evolve, as they were both believable and intriguing. What really impressed me was how well she captured the time period, especially as it is one that, historically, is filled with change and development. The author achieved the promise of her plot, as, by the end the three girls truly found their places and came into their own. But as this is the only the second book in a series filled with promise, Marie silk left off a fantastic cliffhanger that I can’t wait to resolve in book three, I definitely recommend this book! Once again, Joe Jackson does not disappoint. The Eve of Redemption series has been amazing and his third installment is my favorite so far. Serpents Rising is filled with political and religious intrigue, familial challenges and strains, and some amazing revelations that I did not see coming. Karian Vanador continues to be an amazing heroine, but especially in this book as she has to step into new roles and face challenges she never has before, while the truths she has known throughout her long lives are turned upside down on her. Her growth throughout the story was both touching and realistic. Jackson writes a wonderful cast of characters and you can’t help but feel- love, hatred, respect, curiosity- for each new one he introduces, any yet he still manages to build and develop his older characters too. I really enjoyed having the characters from the first book play a larger role in Serpents Rising. The world building in Eve of Redemption is masterful, the depth and detail is beautiful and intricate and yet as a reader you don’t get lost in it. And supporting it all is a fascinating story line. I could not put this book down. I cannot wait for the next one!!!! Davenport House by Marie Silk is a read I couldn’t put down, from the plot to the characters to the setting; the author pulled me in from the first page. There were a couple things that prevented me from giving this a five star rating, though it was close. I felt at times that the descriptions came across as forced, as if the author were trying to fit in too much into creating the picture so it didn’t flow as naturally. Also, some of the dialogue had a similar problem of sounding forced, though I think this was due to Silk trying to capture the more formal speech of the time period (which she succeeded at the majority of the time). The author beautifully captured the grief the main character, Mary, felt at the loss of her father, which really solidified the connection I felt to her. That said, later on in the story, she suffers a severe betrayal and discovers some shocking news, and I felt her reactions to both of these was a bit underwhelming. While I think this was in part because she was supposed to be incredibly emotionally drained by that point in the story, I would have preferred to see more of a reaction. I was able to figure out the where the book was going before the end, but I still thoroughly enjoyed reading the story. I think this is because of the amazing characters she created. Silk created a fantastic heroine with a great balance of traits: her emotional side, her responsible and rational side, her forgiveness, her anger, her joy and sorrow. All of these were not only a part of the character Mary, but also well developed and realistic, making her a strong and touching heroine you can’t help but relate too. Additionally, Silk’s great character building did not stop at Mary, she wrote an amazing cast of characters, who, as you read, draw out your emotions. From the antagonists, to Mary’s friends, they all enthralled me. I especially loved the relationship Silk developed between Mary, her friend, and her two servant girls, and I cannot wait to see where it goes in the next book. Finally, I was really impressed with how well the author captured both the time period and the ensuing culture. I definitely recommend Davenport house. A touching and thought provoking read! Journey to Glory by Carrie Rachelle Johnson is a beautiful Christian allegory that harkens to tales such as Pilgrim’s Progress, furthermore it’s a story that both touches and enlightens a reader at any age. What I really appreciated was, as a Christian story it was convicting without being judgmental which can be a difficult balance to maintain. And while the allegory is very straightforward, which lends it to a very specific audience, Johnson takes the problems and dilemmas her characters face (which reflect the difficulties we often endure in our own life) and breaks them down. She then presents them in a way that the reader can see the truth behind the complicated tribulations they face without over simplifying or writing off the problem as just black and white. The story did have a slow start so it took me a little longer to get into it, but once it had me I couldn’t stop reading. And while the dialogue and scenes were a bit predictable at times, Johnson easily overcomes this with her great characters. Their growth and the relationships they developed were well written, and often did not go as I expected. As their journey progresses the depth and layers of these characters is slowly and believably revealed so you come to deeply care for them. I can’t wait to see where the author takes them and her story in the next book. A gratifying story of growth and change that captures the heart! Anchor of Hope by Kiah Stephens is a truly touching story of faith, family, and redemption that draws you in from the first page. The author created wonderful characters, all with their own unique voice, that that the reader cannot help but enjoy and relate to. While Kiah Stephens developed both touching and relatable emotional journeys for the characters in her book, this is especially true for the main character Ashley. Her suffering and the emotional scars she carries as well as how the emotional and spiritual story arch progressed and was eventually resolved provided a lovely depth to the book and it’s characters. While I really enjoyed the authors flow and writing style there were a couple scenarios in that book that became problematic or complex in the story but seemed to have simple solutions to me. Additionally, I was a bit disappointed in the final scene between the characters Ashley and Steven, it seemed a bit too simple considering how the story had progressed which in turn made it a bit unbelievable. That said, this truly was a wonderful story that captured me. What I loved most about this tale was that Ashley’s journey to God was realistic, emotional, relatable, and a little gritty. I feel that at times religious authors oversimplify their character’s journey to God and make it easy, which to me is not a realistic representation. Stephens did not do that but at the same time neither did she make it pointlessly complicated. Instead, she perfectly captured a natural, difficult, and satisfying development, both emotionally and spiritually, of all her characters, but especially Ashley. I definitely recommend this book! Great Read, Will Not Disappoint! I loved this book! Jackson weaved a truly absorbing tale that takes hold of you in the first few pages and does not let go. Getting to dive back into Kari’s world was amazing, I loved seeing her growth in this novel, and particularly loved the struggle she had between her family and the career/ lifestyle she has devoted two lifetimes to. Jordan portrayed it with a balance and poignancy that truly draws you into her internal battle. Kari is a fantastic Heroine whose characteristics, struggles, failures, and triumphs are balanced and realistic creating a tough as nails heroine who never loses her deep and caring heart. You cannot help but relate to her (even if she isn’t human). Jackson introduced several new characters in this book that you fall in love with just as much as his characters from the first book. I did miss not having the whole group from the first story in this one, but in a fantasy epic of this size that just isn’t always possible, and quite frankly the author quickly pulls you into the new characters so you care about them just as much. The plot of this book was fascinating and kept me guessing the whole way, which I love. Jackson, while a little too detailed for my preference, really pulls his readers into this fascinating world he has created, and weaves a brilliant and original storyline that I couldn’t put down. This is a fantastic read that I highly recommend and cannot wait for the next in the series. An original and Intriquing twist! An Original and Intriguing Twist! My Abigail by David Duane Kummer was an inventive mystery that kept me guessing. The story’s twist was not something I saw coming, nor was it something I’ve read before. However, I do wish that it had been longer, in part because it was a fascinating world and I would have enjoyed delving deeper, but also because the story at times needed to be more fleshed out. Because of this, the pacing was, at times, inconsistent, and the mystery, while unique, was not entirely plausible. This also meant that certain scenes came across as random. I think more content would have overcome those factors, and personally, I would have loved to explore the author’s world more. That being said, the author created individual and strong characters, each with their own distinct voice. And while, at times, the dialogue presented itself as a bit disjointed, it was impossible not to come to really care about these characters. No spoilers (I promise) but their were definitely multiple scenes that really tore at my heart because of how well the author developed his characters! The age of the main characters did seem a bit off to me, they are supposed to be 13/14 but they act with a lot more maturity and freedom than I would expect from someone that age. What really impressed me, so that I really enjoyed the story, was that I did not see the ending coming. The author took it in a completely different direction than I expected. This direction (like the mystery) was fresh and creative, and truly worked with the story the author created. Overall, I recommend this story for any who enjoys romance and mystery with a twist. It was a good read! A suspenseful and intriguing read! The Start of an Epic Fantasy! A complex and descriptive read! Joe Jackson has created a fascinatingly complex world with depth and consistency (including varied races, religions, histories, countries, etc) that captures the reader’s curiosity. His descriptions throughout were clear and well written which made is easy to picture both the world and it’s inhabitants while reading. However, at times, it was a little too detailed/ descriptive, which I feel detracted from the story as whole (although, I generally prefer minimal description when I read, so for many I do not think this would be an issue). I also struggled a bit with the pacing, as it was not consistent, though some of this comes from the fact that the author needed to lay a thorough foundation for a story of this scope, which he did wonderfully. Now, while in the beginning I had a harder time connecting with the characters (again, I believe due to the necessary world building) after the first couple chapters I began to quickly fall in love with them. His cast of characters was wide and varied, and each had its own distinct voice, so by the end you not only love the individual characters but how they function as a group. I particularly loved his development of the character Erik. His lead, Karian, is beautifully complex and makes for a wonderful, strong protagonist with a lot of heart. Joe Jackson brought this novel to a wonderful close that was both thorough and pleasing while setting up questions and mysteries for the next book. I definitely recommend this book for anyone who enjoys epic fantasy! So it's been a while since I've had a rambling, but since I've been busy with a few things, I'll probably have another one up soon. I knew about Goodreads long before I published TANGLED WEB, but I never bothered using it. When I did establish a profile with them, it was with the intent of having another platform to interact with readers, but I've discovered it is so much more! It's now one of my favorite sites and I wish, wish, wish, I had joined them long ago. But, like with all my obsessions, I am quickly making up for any lost time, lol. The nerdy side of me loves the reading lists you can create (creating long and organized lists is oddly relaxing, and I fully embrace this side of my inner nerd, lol). But, aside from the potential for hours of sorting and organizing my virtual 'shelves' for relaxation and fun, I've also discovered their giveaway service and have entered many (knowing my luck I'll never win, but it's good to have hopes and dreams lol). Having discovered their awesome Giveaways, I've decided to do one of my own. I'll be giving away one copy of TANGLED WEB, and you can enter to win, anytime between February 4th and February 18th. I'll have a link below and in the Extra, Extra section. Whether you win or not, keep an eye out because this won't be the last one I do, for both this book and future ones. Good Luck! Giveaway ends February 18, 2016. It's sale time! With the holidays coming, the eBook version of 'Tangled Web' will be going on sale. It will be on sale for four days with the exact sale price a little different every day. The sale is going to start on December 11th at 8 AM. 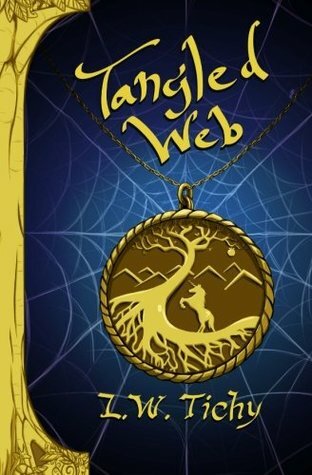 'Tangled Web' will be available for purchase at .99 cents! (That's an 81% discount from it's usual 4.99!) Over the next three days, the price will go up a dollar a day (12th Dec=1.99, 13th Dec=2.99, and the 14th Dec=3.99) until the 15th when it will return to it's usual price. So take advantage while you can. Whether you're looking for a new book to read, or it's been on your wish list, or your looking for a fun easy gift for someone, December 11th through the 14th is your chance to get it at a great price! The paperback copy of Tangled Web is now availableto order on Amazon, not just Createspace. So it's finally ready, the paperback version of Tangled Web. My copy arrived yesterday, and it was amazing, actually having a physical copy, it makes it seem more real than just the kindle (though that was great too). I'm excited to be able to put this option out there, as it's one more great step in my writing journey! For right now it is only available through the Createspace store (which is an affiliate of Amazon), just search L.W. Tichy at Createspace.com, and it will bring it up. At some point over the next week it will be made available through Amazon, and as soon as that happens I will let everyone know, and add a link to the website, under My Books. If you don't want to wait for amazon though you can easily order it through Createspace. Thank you to any and all who decide to read my book, it's wonderful knowing that you'll get to experience Ryne's story too.